Peters Projects of Santa Fe is pleased to announce QUADRIVIUM, a four-artist exhibition of Contemporary Native Painting by Tony Abeyta, Darren Vigil Gray, Patrick Dean Hubbell and Mateo Romero opening June 9, 5-7 pm. A first time these artists are showing together in Santa Fe, the exhibition takes it’s lead from the title, Quadrivium, meaning the highest level of the Liberal Arts consisting of Arithmetic, Geometry, Astronomy and Music. 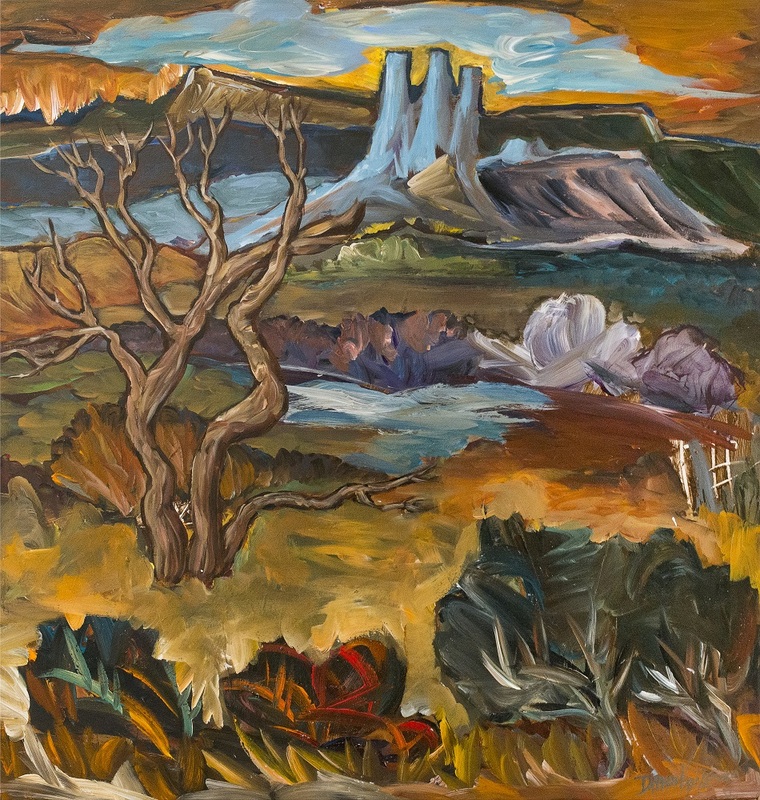 All of these universal qualities are essential elements of these artists work, all of which coincidently live in the Southwest and who draw inspiration from the land of New Mexico. 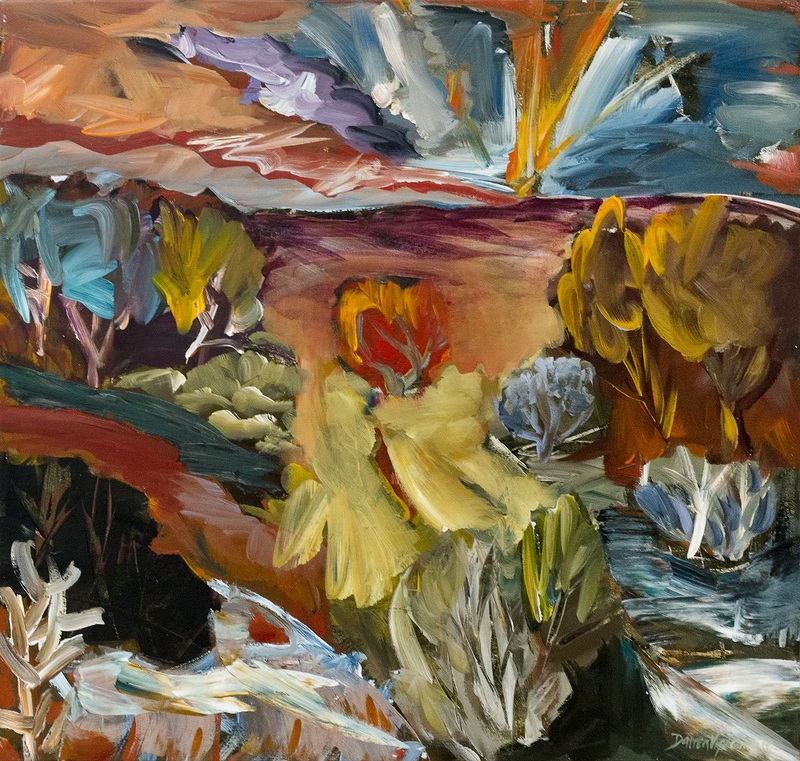 Tony Abeyta, who grew up in Gallup, New Mexico, draws inspiration from the colors and textures of the southwestern landscape, as well as his Navajo (Diné) heritage. “I want my work to reinforce the ideology of Indian religion, its strength, its beauty and semblance,” says Abeyta. Starting his artistic training at Santa Fe’s Institute of American Indian Arts, Abeyta went on to receive his MFA from New York University. Born on the Jicarilla Apache Reservation in northwest New Mexico, Darren Vigil Gray attended the Institute of American Indian Arts as a teenager, and later attended the University of New Mexico. 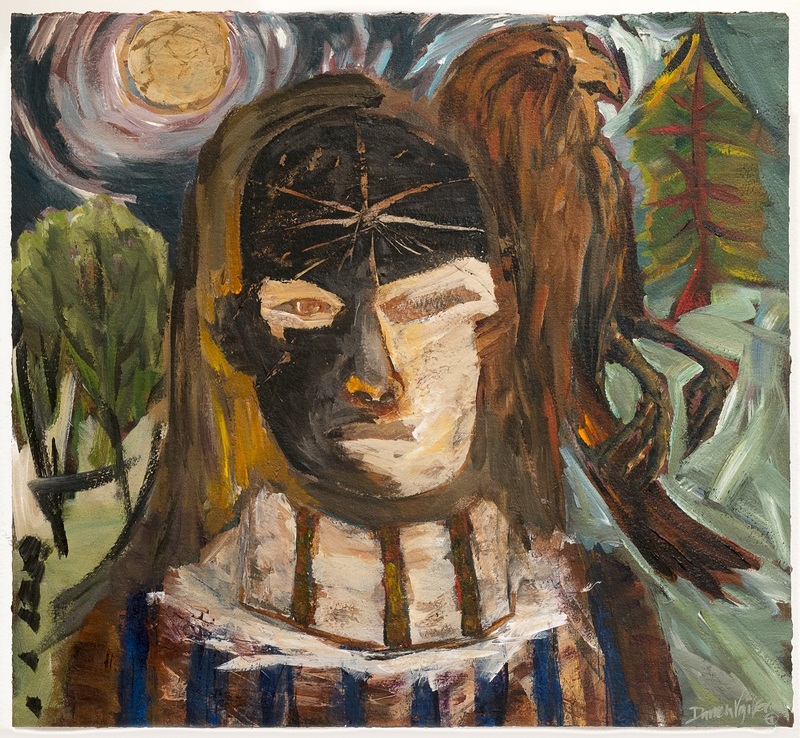 While Native American themes appear in his often-figurative work, Vigil Gray does not consider himself a “Native” artist. His styles are rooted in Post-Impressionism and Abstract Expressionism, and incorporate a wide range of subject matter. Patrick Dean Hubbell was born in Navajo, New Mexico, and is a Diné artist. 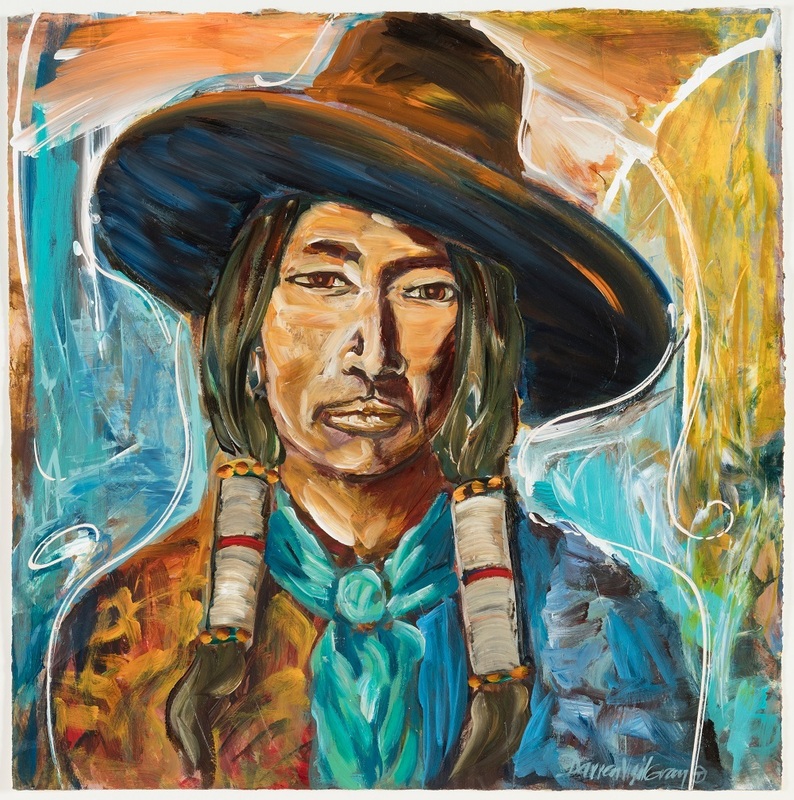 His work includes the use of neutral to bold colors, often incorporating earth from the Navajo Nation into his acrylic and oil paints, and using various elements of design inspired by nature as well as the historic four directional cross. Hubbell’s ancestry comes from a line of weavers who are inspired by a long history of integrity in abstraction from the Ganado style. His subject matter often includes upward visions of the sky and stars. Dean Hubbell received his BFA in Painting and Drawing at Arizona State University, and in 2017 was awarded the POLLACK-KRASNER Foundation, Inc. Grant Award. Born and raised in Berkeley, California, Mateo Romero had an urban upbringing. Yet his connection to the Southern Keresan Cochiti people through his father Santiago Romero, and his experiences on the Rio Grande Pueblo inform his work. 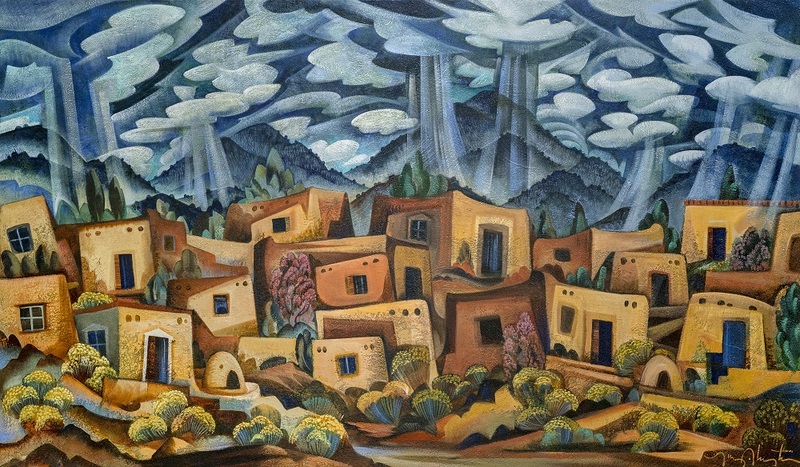 Romero received an MFA from the University of New Mexico, and has shown at various galleries in Santa Fe. Romero has shown at the Peabody Essex Museum in Salem, Massachusetts, and is in the collection of the Denver Art Museum.